Age limit: Candidates age limit should to be possess minimum age 18 years & maximum age 35 years. How to apply: The Process for applying these 10 & +12 Pass jobs in India is to apply online. There is no other way to apply these Government jobs. Below we also share the direct official link to apply. We advise all interested candidates to click on that link for online application form. 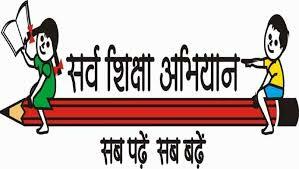 I am interested in Sarva Shiksha Abhiyan Recruitment 2017, will you please give the detailed information regarding the documents that have to be carried..? ?